ACTION ALERT Tell Governor Cuomo to #bFair2DirectCare! The Governor did not put the funding in the budget for Direct Care Staff. We have from now until the budget is passed to speak up about it if this is an important issue to you. Below are some examples of actions you can take. You can always call or write a letter or social media post in your own words. - The developmental disabilities community is in a crisis. funding for DSP is need and why it's important to you! 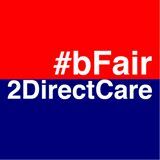 - Use #bFair2DirectCare in all posts! October is Disability History Month! "Focus on the Future, Remember the Past" October 11th, 2018 10am -1pm at McKinley Mall. Check out cool tools in tech for making life better. See demonstrations by people with disabilities of how they use everyday technology to communicate, work, live, and game! DDAWNY Candidates Hour October 12th, 2018 10am -11am at Southeast Works 181 Lincoln St, Depew. Meet the political candidates who are running for election this November. Exceptional Entrepreneurs Expo October 13th, 2018 10am -3pm at the Museum of disAbility History 3826 Main Street, Buffalo, NY. Free event with lots of people who own their own business and ideas for fun things to do with your life! Leadership Day October 27th, 2018 12pm-4pm at North Buffalo Community Center 203 Sanders Rd Buffalo. Self advocates and community advocates coming together to learn and teach about issues important to us. A must attend for people who are/ want to be leaders. Poets and artists will present as well.